I didn't think the relationship would last the distance but it has. Soon I shall have to make a decision reluctantly on whether to keep or part with it. As of today, my Honda Civic is exactly nine years and five months old. 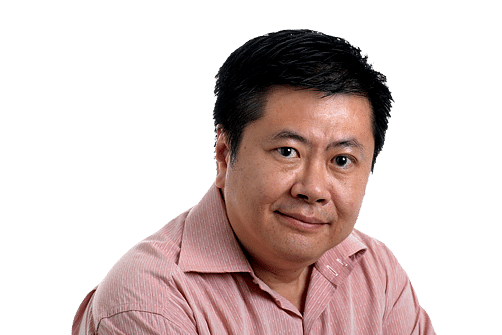 I have become one of the thousands of owners - whom my motoring colleague Chris Tan has written about - keeping their cars on the road for the full 10 years they are entitled to under the certificate of entitlement (COE) scheme. It was an easy decision to stay faithful to the Civic; I paid only $11,602 for the COE of a car with a 1.8-litre engine. Except for a brief period, COE prices have climbed sharply since I registered the car on June 1, 2006, in the face of dwindling COE pieces - particularly, in 2012 and 2013 - amid rising aspirations for car ownership. I toyed with the idea of changing my car around the five- to seven-year mark but the occasional glance at the then prevailing COE price was sufficient to set my thinking straight. Plus my current ride was giving me absolutely no problem. 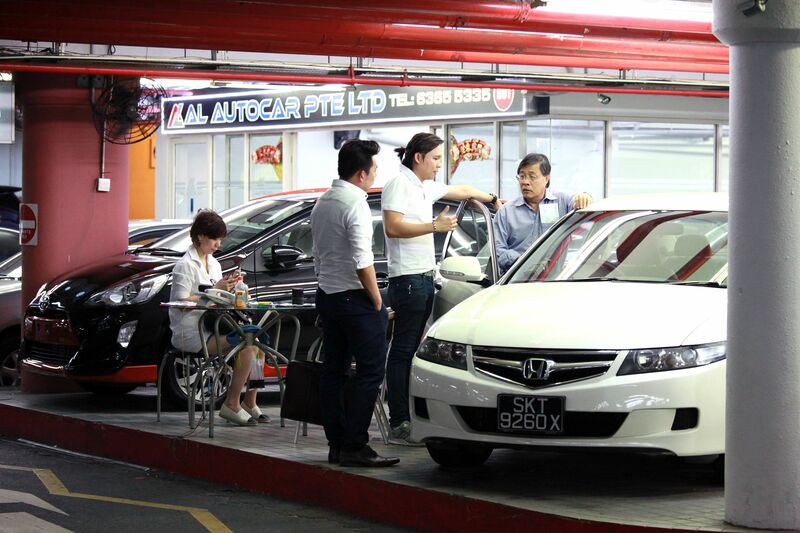 It may not make financial sense but the emotional pull of car ownership is hard to resist. I love my car. So does my wife. She tells me she misses the family car even when it's at the service centre. I have had two cars. The first was a whimsical buy: A Business Times colleague had put up an ad on my company chatline for a friend who wanted to sell his Mercedes Benz A160. I bought the car without asking for a test drive and despite thinking at the time that it looked ugly. If you recall, the first- generation A class Benz was squat and ungainly, and had to be re-engineered after failing the Elk test - designed to see if a vehicle can maintain its stability when evading an obstacle that appears suddenly. Despite the dubious reputation, the A160 proved to be the right car for someone like me who had not been driving regularly for a long time. It was easy to handle and a breeze to park. While I have always admired the efficiency of our public transport system, car ownership opened up new horizons and enabled outings that were previously considered a distant possibility for a parent of young children. Without a car, I doubt my two daughters would have had the privilege of visiting places like Sungei Buloh Wetland Reserve, Sembawang Park, Singapore Science Park, the zoo and adjoining Night Safari as often as they did. They certainly would not have enjoyed the long drive up to Malaysia, which took us as far north as Alor Star and to the cool climate of Brinchang - the highest town in Cameron Highlands. A car also allowed us to detour to small towns Yong Peng and Pagoh to sample their famed fishballs and soursop, respectively. There were the occasional mishaps, most notably when the A160 broke down owing to an overheated radiator in Nibong Tebal, a small town in the middle of nowhere. Fortunately, that happened on a group holiday with my sister and her family,who were in another car. We managed to squeeze everyone into her car while mine was towed to the authorised dealer's workshop in Ipoh. Although the towing cost me RM350 (S$113), I considered it a bargain as the workshop was 120km away and the tow truck driver had to make a round trip home that would take him well past his dinner time. On the other hand, the cost of repair was horrendous. One reason for the huge bill was that the replacement part had to be brought in from, ahem, Singapore. The other was high labour cost as the engine had to be detached and lifted to gain access to the tensioner pulley due to the compactness of the engine bay. However, I could not fault the service. The workshop had a policy of giving job priority to vehicles with out-of-state number plates. This made sense as their owners tended to be visitors who were unlikely to stay long. Beyond that, the service staff conducted follow-up phone calls and wrote me letters for up to a year to inquire if I had any issues with the repair, which I thought was a nice touch. Nonetheless, I traded in the A160 for a new Civic soon after. While I loved the Baby Benz, other mechanical issues had begun to surface. Financially, it also didn't make sense to keep a five-year-old car that had a $38,000 COE premium tagged to it at a time when the prevailing quota premium was hovering at between $9,000 and $12,000. As I got the Civic relatively cheap, I was able to pay off the car loan fairly quickly. So for the last 5 1/2 years, I have not had to set aside monthly deduction for a car loan from my pay cheque. It's a nice feeling that will end in seven months' time when the car hits the 10-year mark. Three options are before me should I want to continue maintaining my own set of wheels. The cheapest option is to revalidate my current car's COE for either five or 10 years by paying what is known as a prevailing quota premium (PQP) - a three-month moving average of the COE premium. The PQP for Category B, under which my Civic falls, is currently at $60,519. Based on this, the straight line annual depreciation of my car works out to $6,052. In my case, I will need to add another $1,200 or so since extending the use of the car past the 10th year entails giving up its Parf, or scrap, rebate. Even taking this into account, the depreciation of a revalidated COE car is about half that of a comparable new one. On the other hand, I can expect to foot a higher bill for maintenance and repair for an ageing car in its second decade on the road. I also have to factor in higher road tax as cars older than 10 years are taxed 10 per cent more each year until it reaches a maximum of 50 per cent. Insurance coverage will be limited to third-party fire and theft as comprehensive policies are usually not available for these cars. This can be problematic if your car gets rear-ended by a foreign-registered vehicle or one driven by someone without proper insurance cover. Although not at fault, you will probably have to pay the repair costs out of your own pocket. The second option is to shop for a used car. I did this with my first car but doubt I want to go down this path again unless there is a compelling deal. Between getting a used car previously driven by an unknown person and revalidating the COE of my own "used" car which has a low annual mileage of about 10,000km, I know which I prefer. The third is the most expensive but also my preferred option - buy new. There is nothing like the smell and feel of a new car. A recent Life! motoring snippet mentioned that the 10th generation of the Civic will be coming to Singapore in the second half of next year. That is a car I most certainly want to check out. But what if the COE premiums soar back to the stratospheric $100,000 mark, as it threatened to do in January 2013? I may then consider doing the unthinkable: Give up the car.